727 The entire mission of the Son and the Holy Spirit, in the fullness of time, is contained in this: that the Son is the one anointed by the Father’s Spirit since his Incarnation – Jesus is the Christ, the Messiah. Everything in the second chapter of the Creed is to be read in this light. Christ’s whole work is in fact a joint mission of the Son and the Holy Spirit. Here, we shall mention only what has to do with Jesus’ promise of the Holy Spirit and the gift of him by the glorified Lord. 728 Jesus does not reveal the Holy Spirit fully, until he himself has been glorified through his Death and Resurrection. Nevertheless, little by little he alludes to him even in his teaching of the multitudes, as when he reveals that his own flesh will be food for the life of the world. He also alludes to the Spirit in speaking to Nicodemus, to the Samaritan woman, and to those who take part in the feast of Tabernacles. To his disciples he speaks openly of the Spirit in connection with prayer and with the witness they will have to bear. 729 Only when the hour has arrived for his glorification does Jesus promise the coming of the Holy Spirit, since his Death and Resurrection will fulfill the promise made to the fathers. The Spirit of truth, the other Paraclete, will be given by the Father in answer to Jesus’ prayer; he will be sent by the Father in Jesus’ name; and Jesus will send him from the Father’s side, since he comes from the Father. The Holy Spirit will come and we shall know him; he will be with us for ever; he will remain with us. 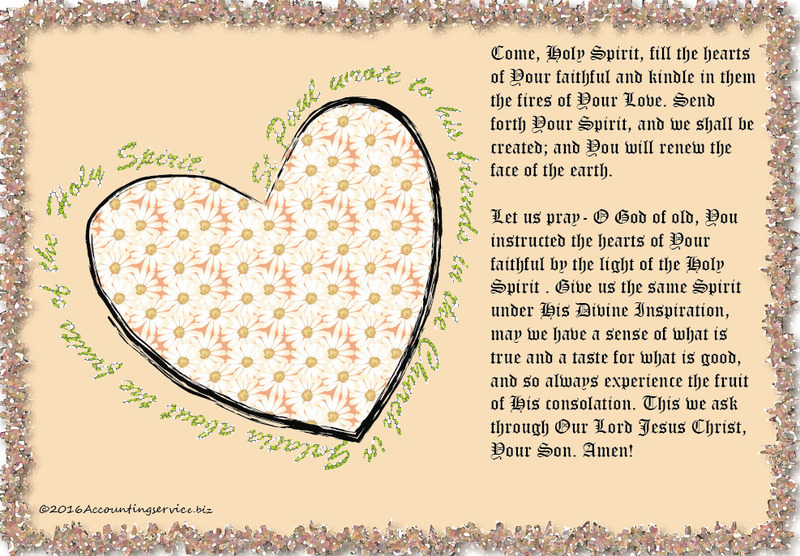 The Spirit will teach us everything, remind us of all that Christ said to us and bear witness to him. The Holy Spirit will lead us into all truth and will glorify Christ. He will prove the world wrong about sin, righteousness, and judgment. proclaim it to the far-off coasts. has saved him from an overpowering hand. they will stream to the blessings of the Lord. the men, young and old, will be glad. I will console them, give gladness for grief. 2786 “Our” Father refers to God. The adjective, as used by us, does not express possession, but an entirely new relationship with God. 2787 When we say “our” Father, we recognize first that all his promises of love announced by the prophets are fulfilled in the new and eternal covenant in his Christ: we have become “his” people and he is henceforth “our” God. This new relationship is the purely gratuitous gift of belonging to each other: we are to respond to “grace and truth” given us in Jesus Christ with love and faithfulness. 2789 When we pray to “our” Father, we personally address the Father of our Lord Jesus Christ. By doing so we do not divide the Godhead, since the Father is its “source and origin,” but rather confess that the Son is eternally begotten by him and the Holy Spirit proceeds from him. We are not confusing the persons, for we confess that our communion is with the Father and his Son, Jesus Christ, in their one Holy Spirit. The Holy Trinity is consubstantial and indivisible. When we pray to the Father, we adore and glorify him together with the Son and the Holy Spirit. 2791 For this reason, in spite of the divisions among Christians, this prayer to “our” Father remains our common patrimony and an urgent summons for all the baptized. In communion by faith in Christ and by Baptism, they ought to join in Jesus’ prayer for the unity of his disciples. 2792 Finally, if we pray the Our Father sincerely, we leave individualism behind, because the love that we receive frees us from it. The “our” at the beginning of the Lord’s Prayer, like the “us” of the last four petitions, excludes no one. If we are to say it truthfully, our divisions and oppositions have to be overcome. 2793 The baptized cannot pray to “our” Father without bringing before him all those for whom he gave his beloved Son. God’s love has no bounds, neither should our prayer. Praying “our” Father opens to us the dimensions of his love revealed in Christ: praying with and for all who do not yet know him, so that Christ may “gather into one the children of God.” God’s care for all men and for the whole of creation has inspired all the great practitioners of prayer; it should extend our prayer to the full breadth of love whenever we dare to say “our” Father. In my anguish I called to the Lord, and he heard my voice. when I call I am saved from my foes. the traps of death confronted me. I cried to God for help. 2581 For the People of God, the Temple was to be the place of their education in prayer: pilgrimages, feasts and sacrifices, the evening offering, the incense, and the bread of the Presence (“shewbread”) – all these signs of the holiness and glory of God Most High and Most Near were appeals to and ways of prayer. But ritualism often encouraged an excessively external worship. The people needed education in faith and conversion of heart; this was the mission of the prophets, both before and after the Exile. Finally, taking the desert road that leads to the place where the living and true God reveals himself to his people, Elijah, like Moses before him, hides “in a cleft of the rock” until the mysterious presence of God has passed by. But only on the mountain of the Transfiguration will Moses and Elijah behold the unveiled face of him whom they sought; “the light of the knowledge of the glory of God [shines] in the face of Christ,” crucified and risen. 2584 In their “one to one” encounters with God, the prophets draw light and strength for their mission. Their prayer is not flight from this unfaithful world, but rather attentiveness to The Word of God. At times their prayer is an argument or a complaint, but it is always an intercession that awaits and prepares for the intervention of the Savior God, the Lord of history. 471 Apollinarius of Laodicaea asserted that in Christ the divine Word had replaced the soul or spirit. Against this error the Church confessed that the eternal Son also assumed a rational, human soul. 472 This human soul that the Son of God assumed is endowed with a true human knowledge. As such, this knowledge could not in itself be unlimited: it was exercised in the historical conditions of his existence in space and time. This is why the Son of God could, when he became man, “increase in wisdom and in stature, and in favor with God and man”, and would even have to inquire for himself about what one in the human condition can learn only from experience. This corresponded to the reality of his voluntary emptying of himself, taking “the form of a slave”. 473 But at the same time, this truly human knowledge of God’s Son expressed the divine life of his person. “The human nature of God’s Son, not by itself but by its union with the Word, knew and showed forth in itself everything that pertains to God.” Such is first of all the case with the intimate and immediate knowledge that the Son of God made man has of his Father. The Son in his human knowledge also showed the divine penetration he had into the secret thoughts of human hearts. 474 By its union to the divine wisdom in the person of the Word incarnate, Christ enjoyed in his human knowledge the fullness of understanding of the eternal plans he had come to reveal. What he admitted to not knowing in this area, he elsewhere declared himself not sent to reveal. To you glory and praise for evermore. You are blest, Lord God of our fathers. Blest your glorious holy name. You are blest in the temple of your glory. You are blest on the throne of your kingdom. You are blest who gaze into the depths. You are blest in the firmament of heaven. 2599 The Son of God who became Son of the Virgin also learned to pray according to his human heart. He learns the formulas of prayer from his mother, who kept in her heart and meditated upon all the “great things” done by the Almighty. He learns to pray in the words and rhythms of the prayer of his people, in the synagogue at Nazareth and the Temple at Jerusalem. But his prayer springs from an otherwise secret source, as he intimates at the age of twelve: “I must be in my Father’s house. “Here the newness of prayer in the fullness of time begins to be revealed: his filial prayer, which the Father awaits from his children, is finally going to be lived out by the only Son in his humanity, with and for men. 2600 The Gospel according to St. Luke emphasizes the action of the Holy Spirit and the meaning of prayer in Christ’s ministry. Jesus prays before the decisive moments of his mission: before his Father’s witness to him during his baptism and Transfiguration, and before his own fulfillment of the Father’s plan of love by his Passion. He also prays before the decisive moments involving the mission of his apostles: at his election and call of the Twelve, before Peter’s confession of him as “the Christ of God,” and again that the faith of the chief of the Apostles may not fail when tempted. Jesus’ prayer before the events of salvation that the Father has asked him to fulfill is a humble and trusting commitment of his human will to the loving will of the Father. 2601 “He was praying in a certain place and when he had ceased, one of his disciples said to him, ‘Lord, teach us to pray.”‘ In seeing the Master at prayer the disciple of Christ also wants to pray. By contemplating and hearing the Son, the master of prayer, the children learn to pray to the Father. 2602 Jesus often draws apart to pray in solitude, on a mountain, preferably at night. He includes all men in his prayer, for he has taken on humanity in his incarnation, and he offers them to the Father when he offers himself. Jesus, the Word who has become flesh, shares by his human prayer in all that “his brethren” experience; he sympathizes with their weaknesses in order to free them. It was for this that the Father sent him. His words and works are the visible manifestation of his prayer in secret. 2603 The evangelists have preserved two more explicit prayers offered by Christ during his public ministry. Each begins with thanksgiving. In the first, Jesus confesses the Father, acknowledges, and blesses him because he has hidden the mysteries of the Kingdom from those who think themselves learned and has revealed them to infants, the poor of the Beatitudes. His exclamation, “Yes, Father!” expresses the depth of his heart, his adherence to the Father’s “good pleasure,” echoing his mother’s Fiat at the time of his conception and prefiguring what he will say to the Father in his agony. The whole prayer of Jesus is contained in this loving adherence of his human heart to the mystery of the will of the Father. The priestly prayer of Jesus holds a unique place in the economy of salvation. A meditation on it will conclude Section One. It reveals the ever present prayer of our High Priest and, at the same time, contains what he teaches us about our prayer to our Father, which will be developed in Section Two. 2605 When the hour had come for him to fulfill the Father’s plan of love, Jesus allows a glimpse of the boundless depth of his filial prayer, not only before he freely delivered himself up (“Abba . . . not my will, but yours.”), but even in his last words on the Cross, where prayer and the gift of self are but one: “Father, forgive them, for they know not what they do”; “Truly, I say to you, today you will be with me in Paradise”, “Woman, behold your son” – “Behold your mother”; “I thirst.”; “My God, My God, why have you forsaken me?”; “It is finished”; “Father, into your hands I commit my spirit!”until the “loud cry” as he expires, giving up his spirit. and you will die in your sin. O Lord, listen to my prayer and let my cry for help reach you. and let my cry for help reach you. he will not despise their prayers. and free those condemned to die. 210 After Israel’s sin, when the people had turned away from God to worship the golden calf, God hears Moses’ prayer of intercession and agrees to walk in the midst of an unfaithful people, thus demonstrating his love. When Moses asks to see his glory, God responds “I will make all my goodness pass before you, and will proclaim before you my name ‘the LORD’ [YHWH].” Then the LORD passes before Moses and proclaims, “YHWH, YHWH, a God merciful and gracious, slow to anger, and abounding in steadfast love and faithfulness”; Moses then confesses that the LORD is a forgiving God. If I should walk in the valley of darkness, no evil would I fear. 2465 The Old Testament attests that God is the source of all truth. His Word is truth. His Law is truth. His “faithfulness endures to all generations.” Since God is “true,” the members of his people are called to live in the truth. 583 Like the prophets before him Jesus expressed the deepest respect for the Temple in Jerusalem. It was in the Temple that Joseph and Mary presented him forty days after his birth. At the age of twelve he decided to remain in the Temple to remind his parents that he must be about his Father’s business. He went there each year during his hidden life at least for Passover. His public ministry itself was patterned by his pilgrimages to Jerusalem for the great Jewish feasts. 584 Jesus went up to the Temple as the privileged place of encounter with God. For him, the Temple was the dwelling of his Father, a house of prayer, and he was angered that its outer court had become a place of commerce. He drove merchants out of it because of jealous love for his Father: “You shall not make my Father’s house a house of trade. His disciples remembered that it was written, ‘Zeal for your house will consume me. '” After his Resurrection his apostles retained their reverence for the Temple. 585 On the threshold of his Passion Jesus announced the coming destruction of this splendid building, of which there would not remain “one stone upon another”. By doing so, he announced a sign of the last days, which were to begin with his own Passover. But this prophecy would be distorted in its telling by false witnesses during his interrogation at the high priest’s house, and would be thrown back at him as an insult when he was nailed to the cross.